Friday brought a 1 hour 30 minutes test session where we found ourselves off to a quick start, sitting in p5 on the timing board for the first 40 minutes of the session. A visit to the pits to make a few changes to the car followed, but we could not improve further falling down the order to P11 before our last stint. We went out on New tyres were fitted for the last 15 minutes resulting in an improvement to p8 before having a ‘moment’ which ended up hitting the wall head on but the car wasn’t to badly damaged. Qualifying on Saturday morning was a bit disappointing as we knew we had the speed to get a good result, and therefore be in a strong position to start the races. We adopted the wrong strategy which resulted in not getting the best time possible, and would start races 1 and 3 from 12th on the grid respectively. 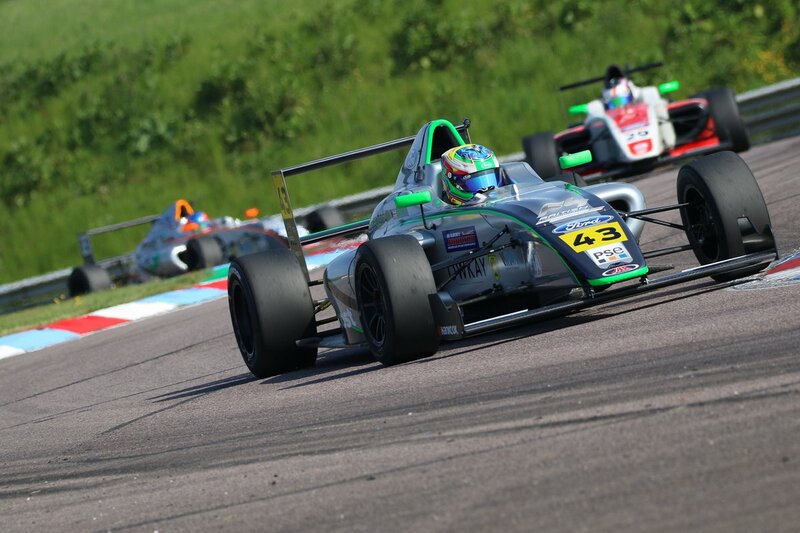 Race 1: Josh made good progress coming through the field and making lots of overtakes and having good battles. By the flag he had secured P7 and the 3rd rookie. 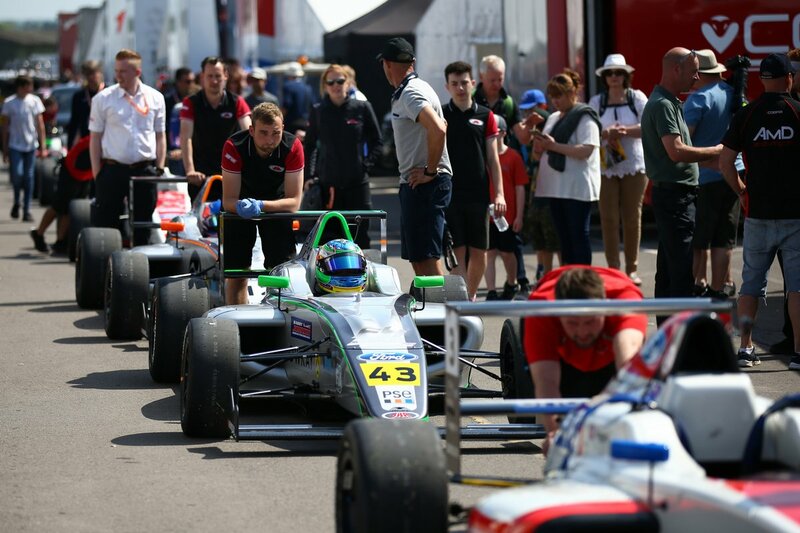 Race 2: Started from 7th on the grid. After a good start and around the halfway point, Josh was up to fourth, finally finishing in pleasing p5 and 2nd placed rookie. 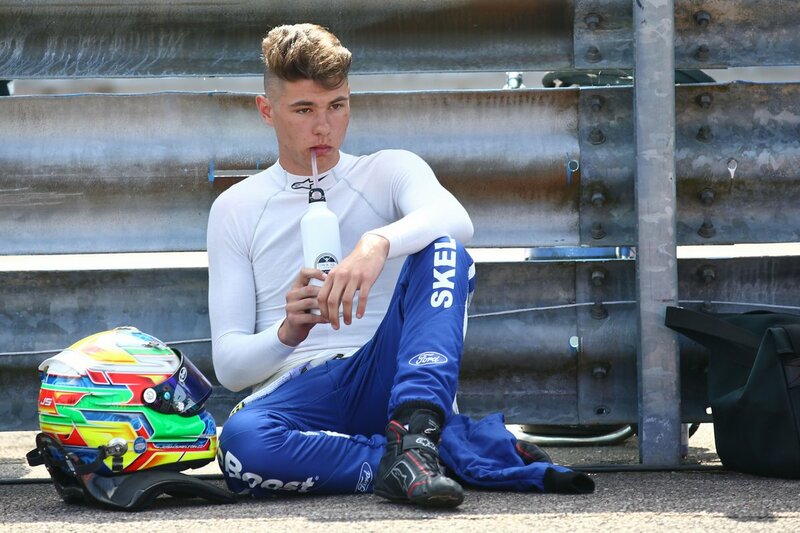 Race 3: P12 again for the final race of the day. It was difficult to make further progress on the opening laps, but Josh kept his head down and started picking off competitors one by one. By the flag we ended the race P7 and 3rd rookie once again, and in addition secured the fastest lap of the weekend with a time of 1:12:055. 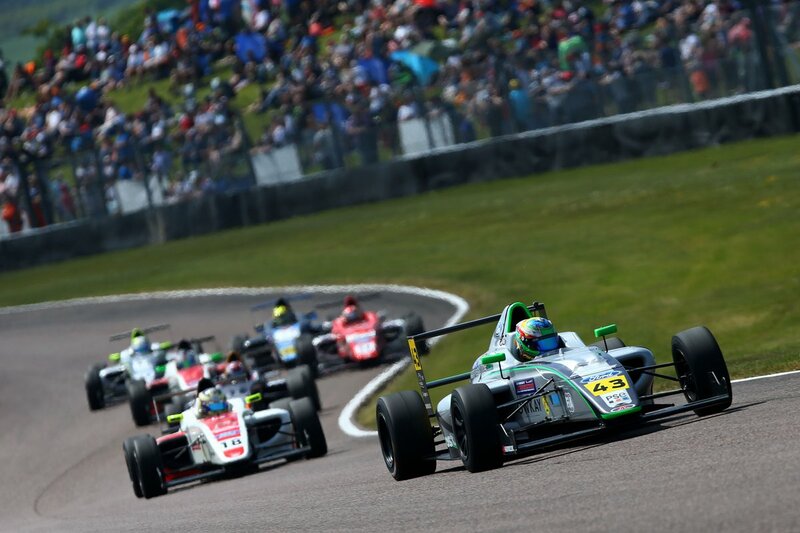 The British F4 Championship continues on the 9/10 June, at the Oulton Park circuit in Cheshire.